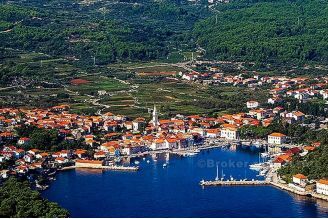 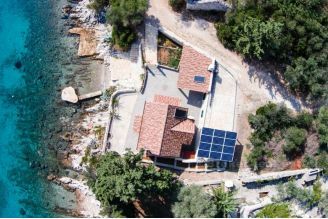 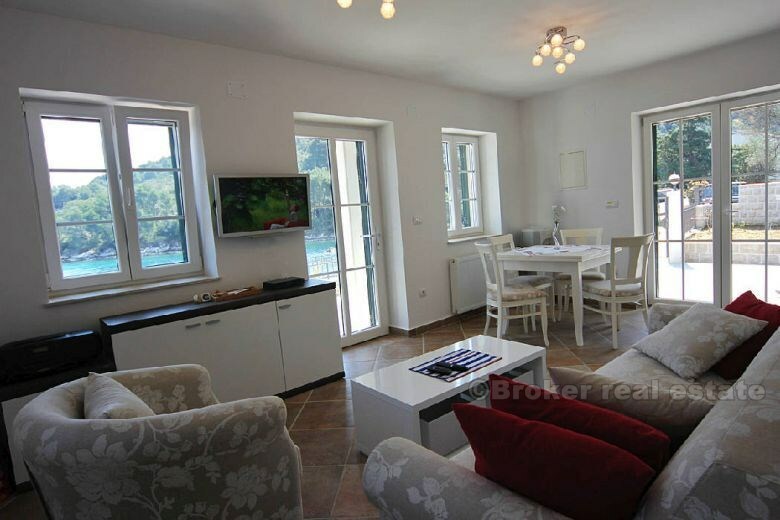 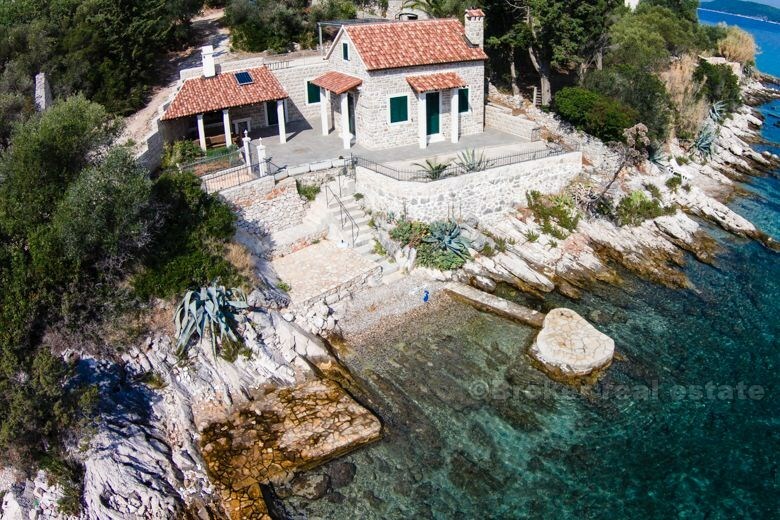 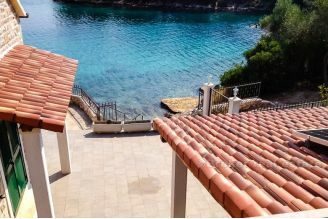 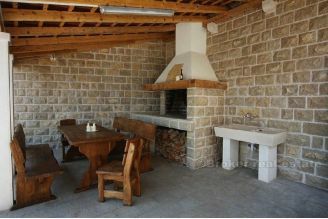 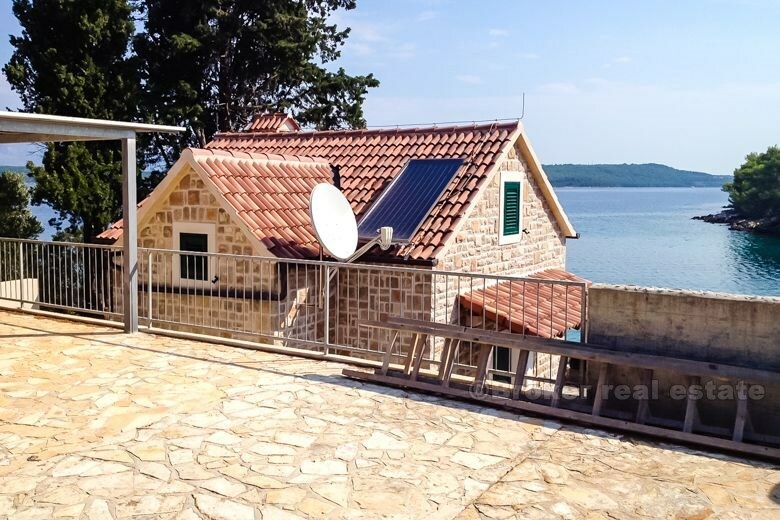 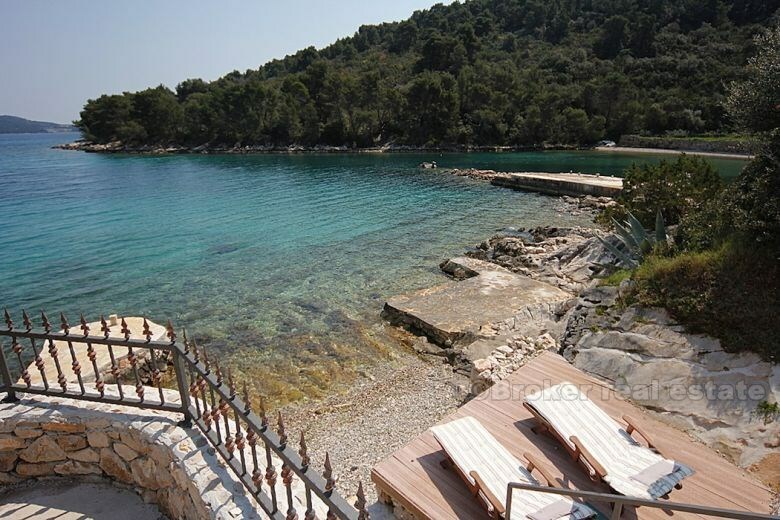 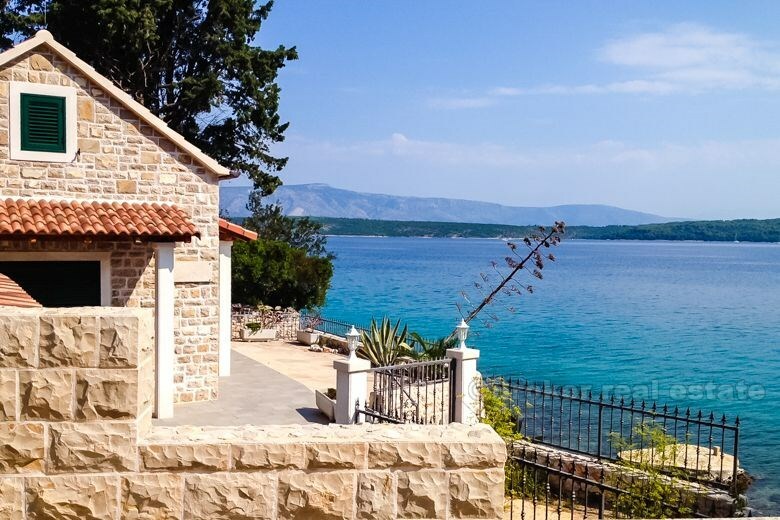 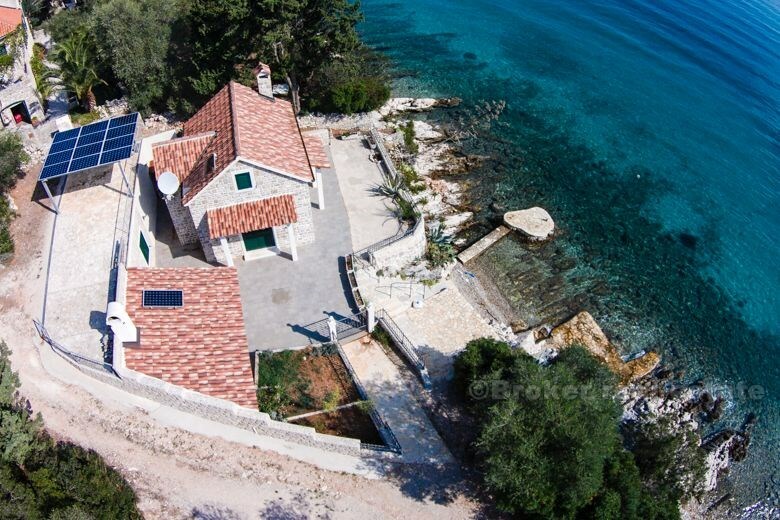 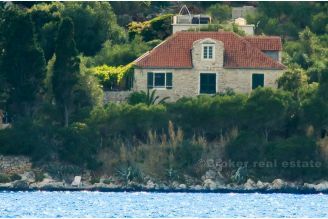 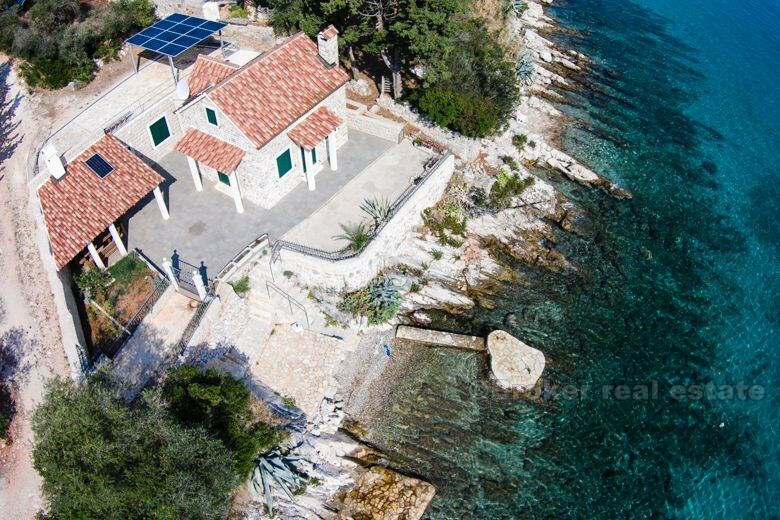 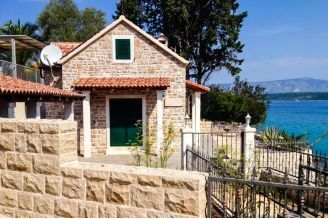 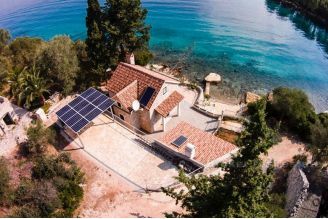 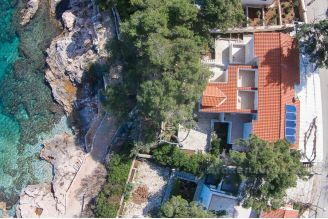 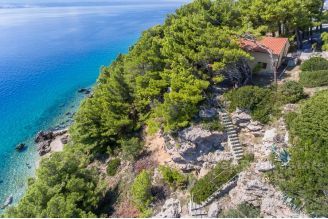 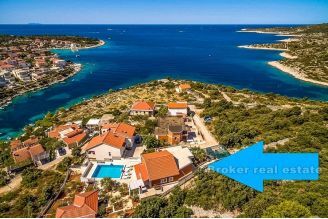 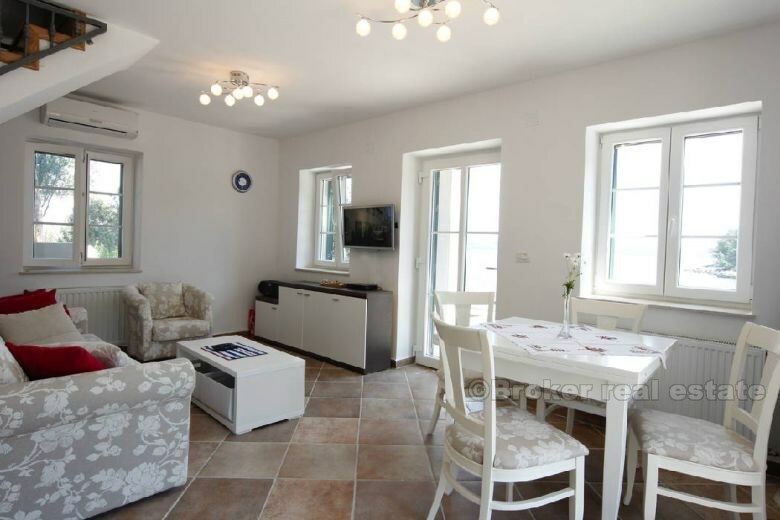 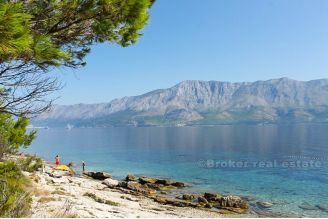 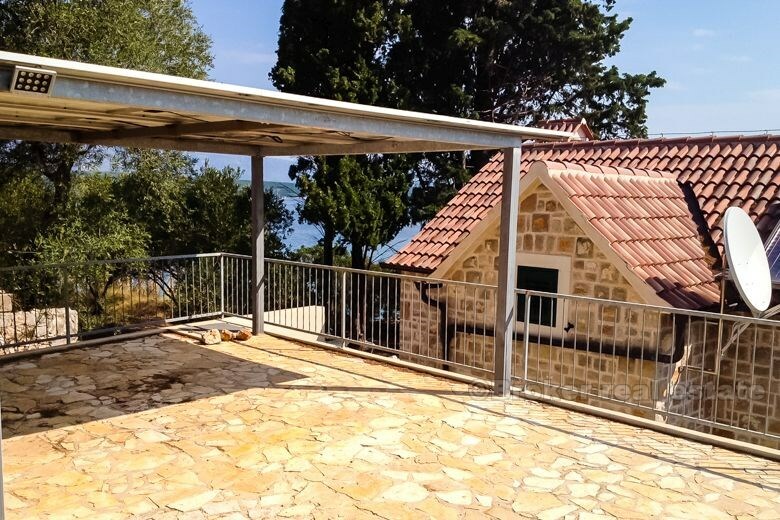 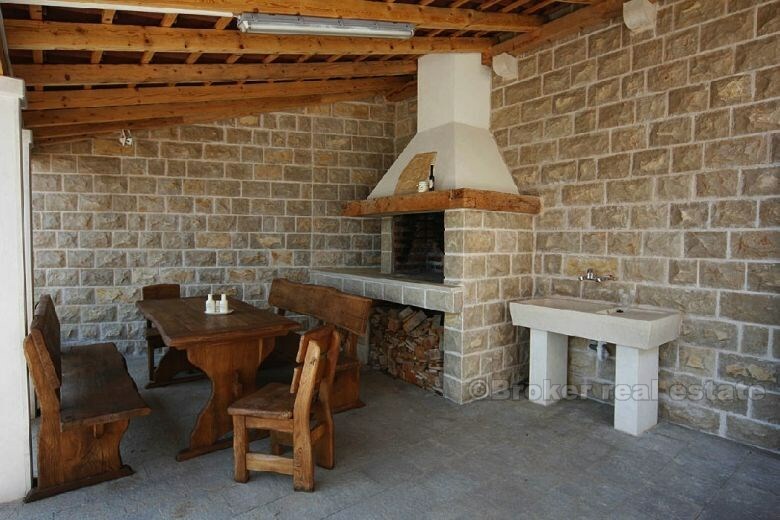 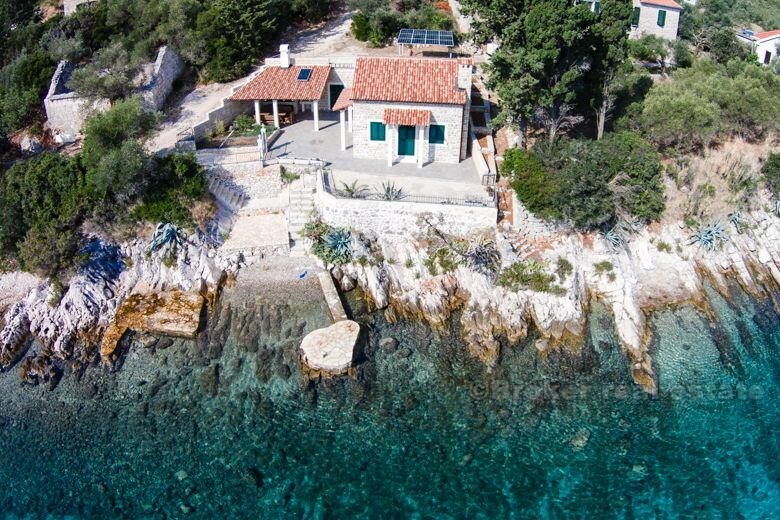 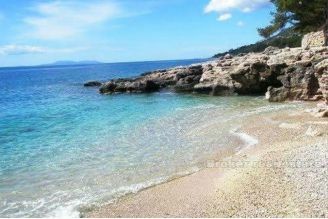 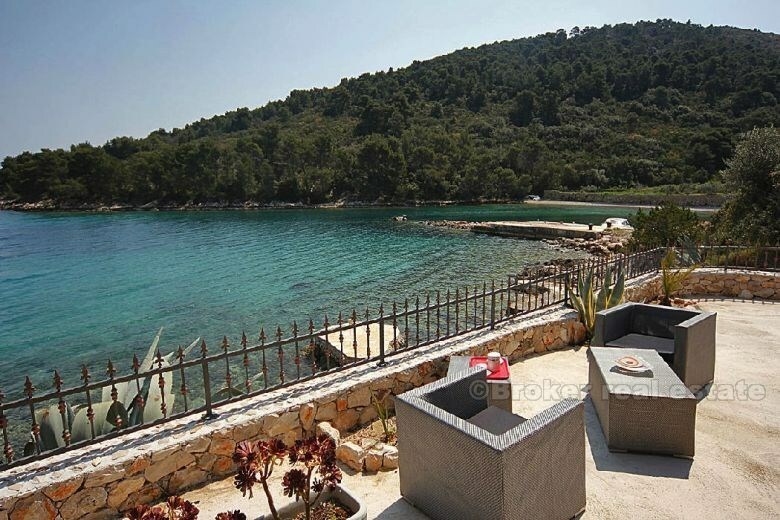 Beautiful stone house surrounded with vineyards and olive orchard, located a 15min from the island of Hvar main ferry port. 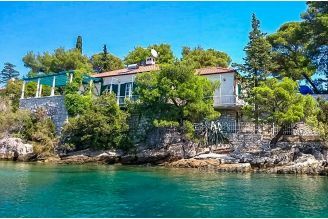 Villa is mixture of luxury and tradition and it is located only 10 meters from perfectly clean sea with a private beach and boat pier. 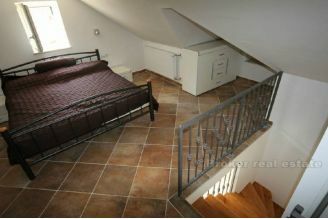 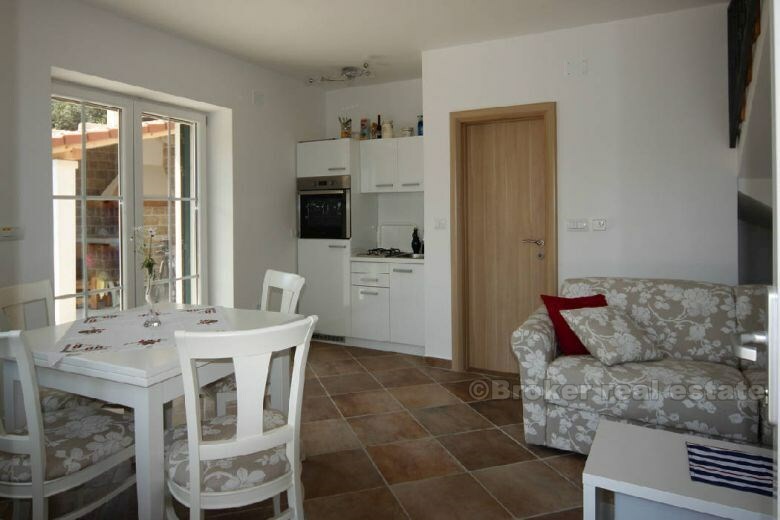 It has living room, kitchen, dining room and two bedrooms with bathrooms. Mesmerizing surrounding includes stone grill and a gazebo for twenty people. 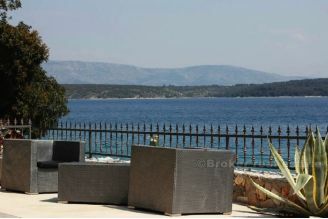 The view from the sunny terrace towards the island Brac. 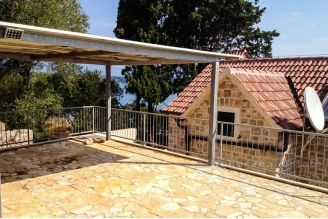 Spectacular sea views can be enjoyed from the sundeck, al-fresco dining area or gazebo. 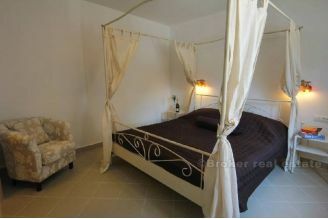 The villa is completely energetically independent (solar panels, water tanks) and entirely air conditioned.